Orthodontics is a dental specialty that deals with the diagnosis and correction of poorly positioned teeth and jaws. In other words, it fixes “bad bites,” such as when your teeth, lips, and/or jaws don’t line up the way they should. It could be that your teeth are crooked, or your bite doesn’t work correctly, or your jaw appears unbalanced. 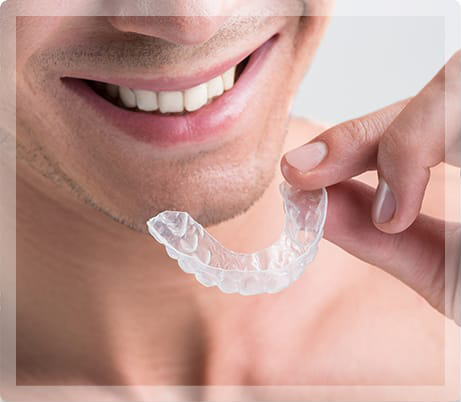 Invisalign®: This series of aligners are custom made to fit your teeth. You will switch out one aligner for another every two weeks, while your teeth gradually shift until they are straight and aligned properly. Treatment time is approximately 12 months. Invisalign aligners are virtually invisible and completely removable when you eat, drink, and floss. Also, because they are made of smooth plastic rather than sharp metal parts, the aligners won’t irritate your mouth or gums. Fastbraces®: This alternative to conventional orthodontic treatment uses breakthrough technology to cut out the two-step process of traditional braces. With conventional braces, a year is spent pulling the crowns of your teeth into position, while the roots of the teeth are moved into place during a second year. With Fastbraces, the process of straightening the roots to an upright position begins immediately and your teeth are straightened in about 120 days. Not only is there less reported pain over other types of braces, but the faster alignment makes other procedures – such as installing crowns, veneers, or dental implants – less difficult. If you’re dissatisfied with your smile and want to learn more about our orthodontic options, contact My Pompano Dentist and schedule a consultation by calling (954) 941-2412 or you can request one online.